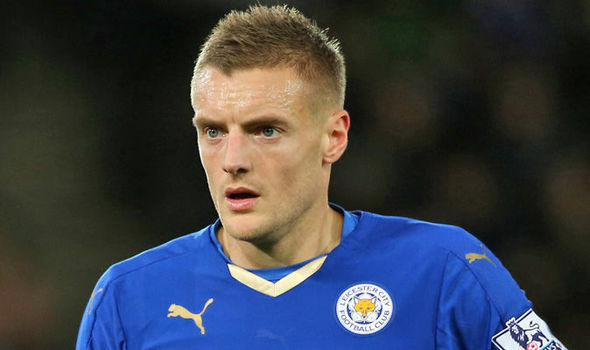 It seems Jamie Vardy’s refusal has been taken sportingly by Arsene Wenger. The Frenchman says he admires Vardy’s loyalty to the Foxes and wishes for the striker to keep doing well. Because of a “let-go” clause in his contract, Vardy was free to make a final call on his proposed transfer to Arsenal. Leicester did not have much of a role to play in that. As each transfer window passes by, Arsenal is one of the clubs that is consistently being linked with a number of players that they are attempting or interested to sign and this time around it has not been any different. Leicester City’s Jamie Vardy is the player that was rumored on joining Arsenal during the summer transfer window but reports have been emerging claiming that the 29 year old English attacker is going to stay with Leicester City at least for another season. It’s 2016 and Arsenal has once again failed to win the Premier League, it’s been over 10 years since they have managed to do it. Arsene Wenger and his men had to settlewith the 2nd place of the top tier English League as Leicester City was the club that came out on top with the triumph. Pressure is once more building around Arsene Wenger with fans of the club eager to see Arsenal win the Premier League title. There isa group of Arsenal supporters thatwant to see the Frenchman sacked from coaching the club while others still have hope that he is edging closer and closer and that its only a matter of time until it happens. The 2015-16 is over and Arsenal snatched the 2nd spot which is their highest placing in recent times but itwasn’tenough to catch up to Leicester City and ArseneWenger has voiced his dissatisfaction to what has been another season where they could not live up to the demands of the Arsenal fans. Arsene Wenger, who has come under increased pressure, this season is expected to leave Arsenal at the end of his contract in 2017. Some fans have become frustrated after a poor run of form that has left Arsenal 13 points off the league leaders Leicester City. They have also been eliminated from the FA Cup as well as the Champions League. With teams such as Manchester City and Chelsea underperforming and with others such as Liverpool and Manchester United under new management, it was expected that this year would have been Arsenal’s. But the team has failed to be up to the standard and found themselves distanced in the title challenge and may have to accept a third place finish. Bad news for Arsenal fans, the title isn’t looking good at the moment and the players know it too. The fans and players both are in a panic at the moment, especially after a brutal draw which was an essential game to win to secure their spot. Even Arsene Wenger has admitted that the Arsenal’s hope for the title is looking very grim at the moment. West Bromwich Albion also known as the Baggies, are one of the teams in the top flight English Premier League. Founded in 1878, the club play host to other teams in the Hawthorns, which has been the Baggies’ home ground since 1900. Owned by Jeremy Peace and managed on the field of play by Tony Pulis; the Baggies are currently one of the longest serving teams in the EPL. Despite not being rated as one of the top teams in the top flight, the Hawthorns, which has a capacity of 26,850, is one of the most dreaded places for opposing teams. Teams like Arsenal and the likes have had to struggle to leave the Hawthorns with positive results in the last couple of seasons—with the Gunners losing 1-2 the last time they visited. After having gone through a superb start of the season, Arsenal have slowed down their pace and now all eyes are being focused on Leicester City as the team of Claudio Ranieri are on their way of making history and lifting the Premier League title which is something that the club has never been able to do in the club’s entire history. The recent drop of points of Arsenal have been when playing against Manchester United and Swansea City as they lost both matches against these teams and also had to settle with a 2-2 draw when facing off with Tottenham Hotspur. During the previous transfer window, Arsene Wenger only signed 1 player and it was Petr Cech who was acquired for a fee of around £10 million. Many fans of the Premier League club were angry at the French coach as they wanted to see a few more signing being made that could help out the club in their journey of winning the English league but after everything was said and done, Cech was the only reinforcement during the winter transfer window. 40 is the magical number that ensures survivability and this is what Tony Pulis is aiming to collect in this season as the coach of West Bromwich Albion wants to continue competing in the Premier League and avoid the dreadful relegation zone. West Bromwich Albion have so far collected 32 points after having played 26 points and they are in a fairly comfortable position as the team of Tony Pulis need only a few more points in order to . West Brom appeared to take a different direction when they brought in Tony Pulis as the manager. The club has been known for its beautiful and flowing football over the years. The new manager, however, was someone who was much more pragmatic in his attack. Even though Pulis has an impressive record as a manager after having not been relegated in his entire career, his style of football has not been enjoyable always. It was questioned whether the union was the right fit for both parties. Pulis has admitted that he had the same worries when he took over.